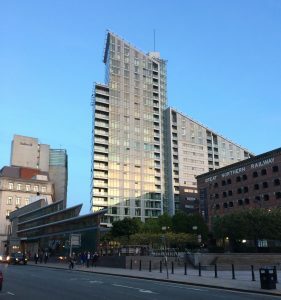 Last month I was invited to the OSA Practice of the Year competition which took part at the Radison Blu Edwardian hotel in Manchester’s city centre. I was invited because SW & C Jackson Opticians were finalists! This was a fantastic tribute to the Jacksons team as our inclusion as finalists was based on the improvements that we have made to our patient experience over the past 12 months. Since the start of 2018 we have really tried to look in on ourselves to identify where we could be doing a better job for our patients. This has resulted in changes to the way we look after people within the practice, for example, all the staff now wear uniform and so can be clearly identified and we also offer hot and cold drinks – choosing spectacles can be thirsty work! We have instituted a program of additional training for all team members on everything from lens design and frame fitting and selection to patient engagement. We have looked critically at our stock and started working with some new collections which we feel bring significant benefits to our patients in terms of design , comfort and quality. We have invested in and OCT – a scanning laser which looks beneath the retina to help detect eye disease earlier and started to send out periodic newsletters to keep our patients up to date on the latest developments in ocular health and spectacle technology. We did not win but I could not be more proud of the Jacksons team and the way in which they have embraced the changes. Some I genuinely believe that we now offer our patients World Class Care in a warm and friendly environment.